Today’s review of Teo Audio’s Liquid Cables is the third installment in my mini survey of various cable systems where I deliberately endeavored to report on designs as varied as possible. I examined two Wireworld cable looms (1 & 2) to represent more conventional cables anyone would already be familiar with, i.e. solid metal conductors encased in a plastic dielectric. I also reported on MIT whose parallel networks make them unique. 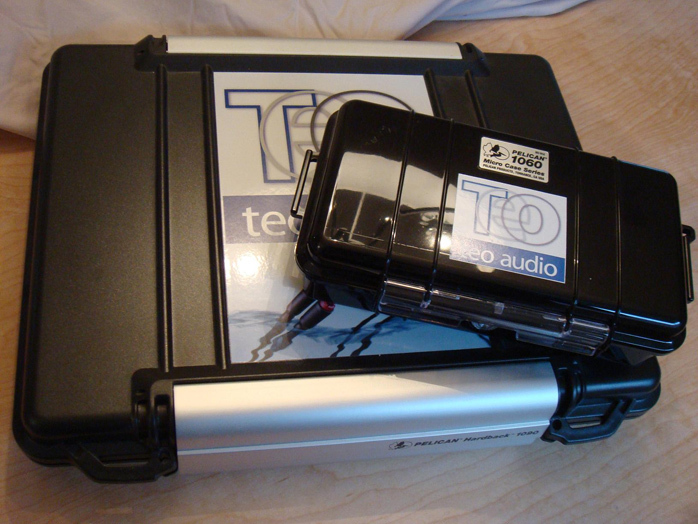 Teo Audio is different again by dispensing with solid metal wire altogether and instead using a liquid slurry of Gallium, Indium and Tin. Srajan gave the initial lowdown back in March 2009. Rather than repeat the back story, see his review. Today’s brief follow up will focus on the sonic effects of these liquid metal cables in my own system. 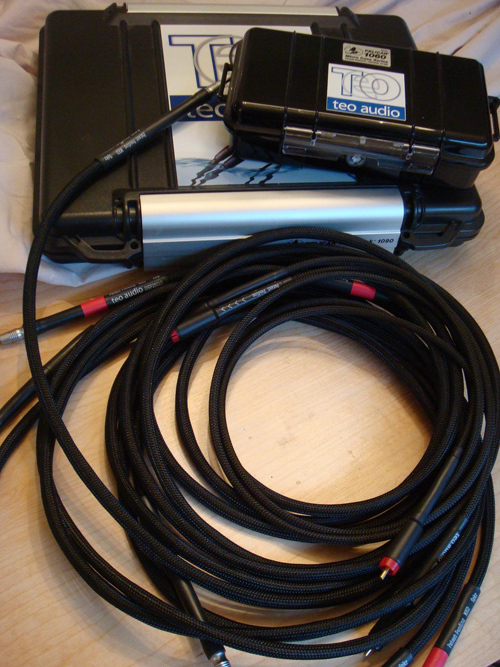 However, the cables Teo sent me are slightly different from what Srajan reviewed. 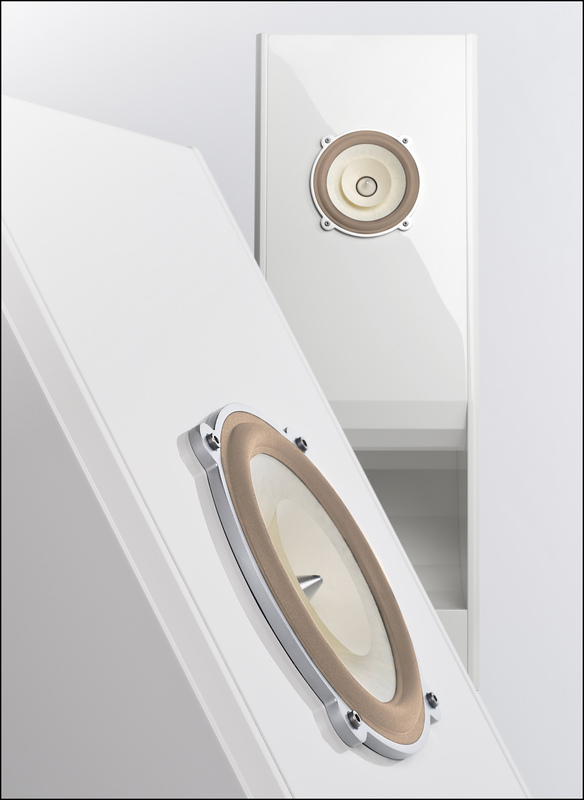 The new PDL interconnect sports Eichmann Bullet RCAs while the SPDL speaker cables use Furutech silver bananas. The liquid slurry is encased in a sealed PTFE tube. Long copper barbs insert in each cable end and solder either to the signal pin of a spade/banana or RCA plug. The PDL interconnects are directional as they use a conventional copper-braid signal return. 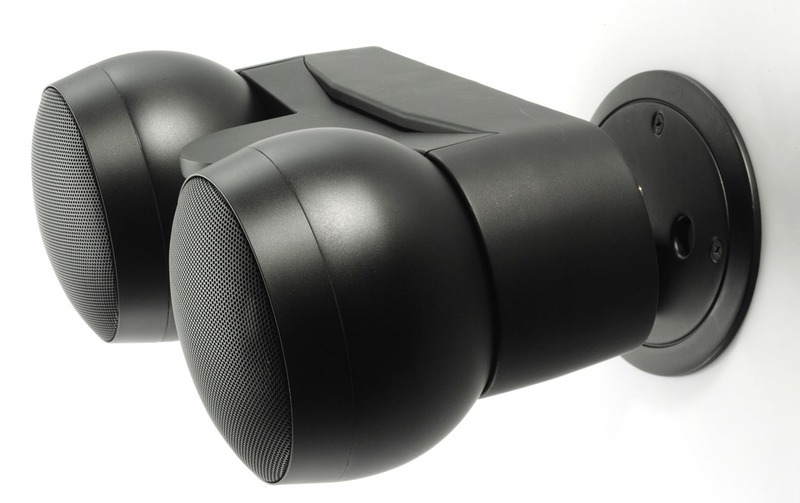 The SPDL speaker cables feature separate signal and return runs. Both cables are sleeved in black plastic mesh. 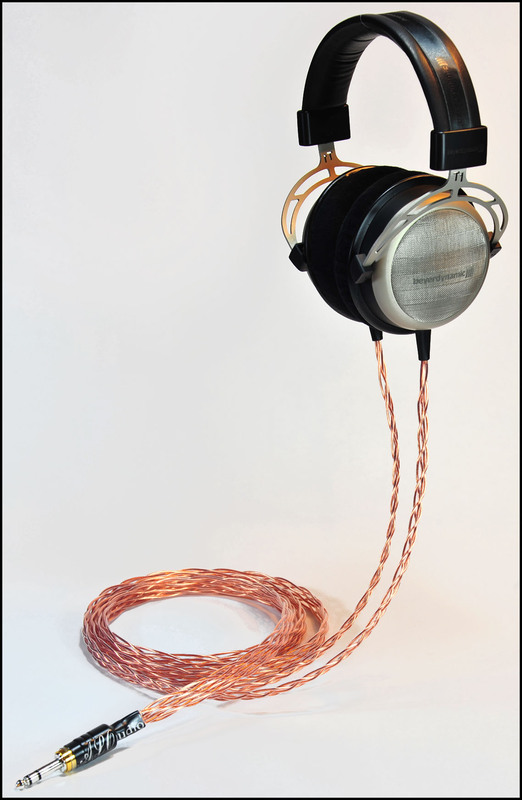 Since the connectors on both sets of cables terminate in the liquid metal via long copper barbs, you need several inches of space behind components and speakers. This is particularly critical for the speaker cables as you will see on the next page. Otherwise the cables are wonderfully flexible and easy to route. Overall build quality looked excellent and the likelihood of leakage appears extremely remote. I had hoped to obtain a bit more of a technical explanation as to how their cables function and why liquid metal would be superior to solid but Teo Audio’s Taras Kowalczyszyn was curiously reluctant to share specifics. My sense is that Teo would prefer listeners to rely on their ears rather than yet another cable ‘white paper’. I must admit this was pleasantly refreshing. * Most manufacturers and distributors I run into boast that their stuff trounces brand X for any number of reasons, sometimes technically spurious ones. The truth is, most my conversations with Taras revolved around music—always a good sign—particularly his love of reggae. However, see Srajan’s quotes of Teo partner Brian Kurtz who does elaborate somewhat on why he believes liquid metal is so effective for audio cabling. I lived with the Liquid Cables for several months and periodically swapped them in and out with my other cables for 2-3 weeks at a time. It did not take long to get a sense of how Teo’s cables affected music playback in my system. After 200 hours of run-in time—or should I say dielectric polarization?—words like natural, organic and, please forgive me, liquid came most readily to mind. Playback had such a remarkable sense of note-to-note flow minus anything musically unnatural, sonically pinched or distorted that I kept having visions of a trickling stream meandering along a mountain valley. 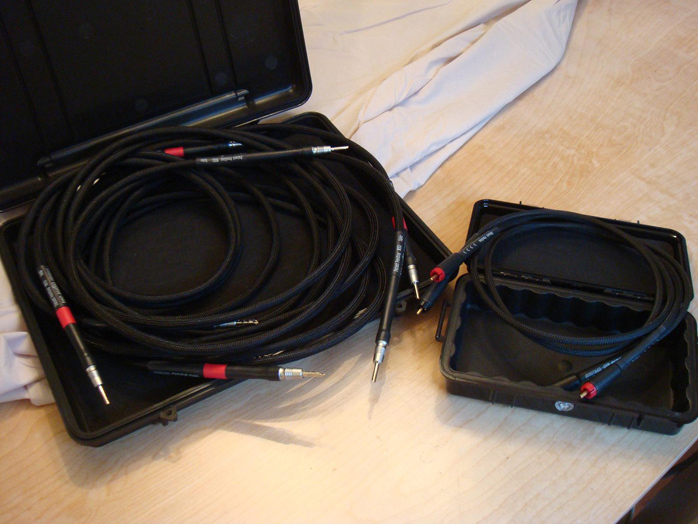 The Liquid Cables were wonderful sounding insofar as cables can have a sound of their own. They didn’t have much of a character, just seemed to pass signal from point A to B without losing anything along the way. Tonally a little dark, they clearly weren’t bright, etched or grainy. Voices and acoustic instruments had a terrific sense of realistic timbre. Neither transients nor dynamics seemed hindered in the least. 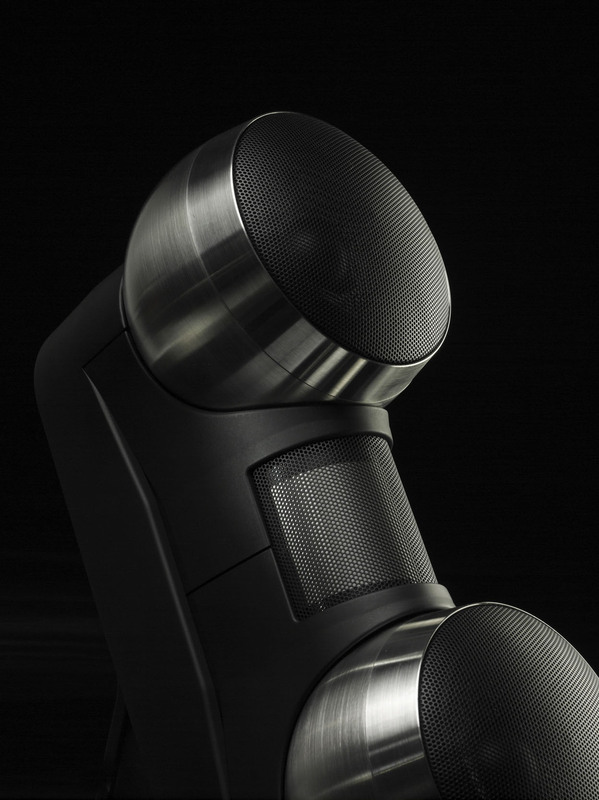 Bass was full, deep and taut with plenty of forward momentum and articulation. In other words, I got quantity and quality in the bottom end. Treble was silky smooth, perhaps a little rounded off but also pleasantly spacious. Reverberation and resonances lingered on longer rather than quickly vanish as they do on some cables. Instrumental and vocal images were slightly diffuse as opposed to sharply defined or etched. Then again the overall placement of performers had such a pleasantly organic and natural vibe about it, I didn’t feel this was negative at all.